Adorable Baby Buttons. 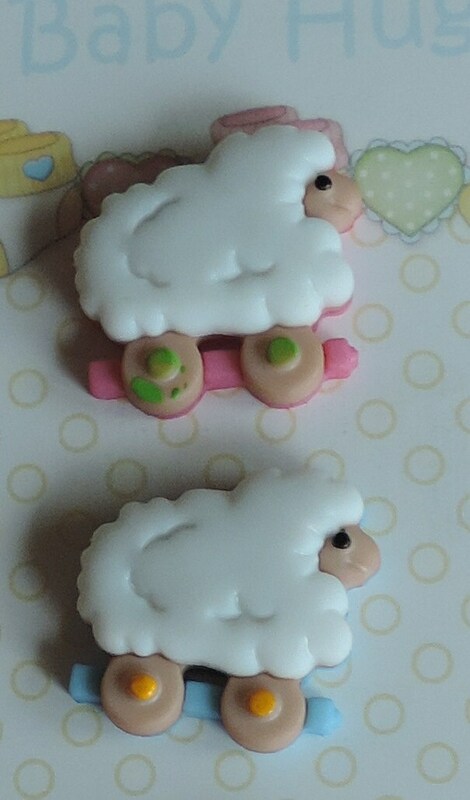 Baby Hugs Collection Sheep on Wheels by Buttons Galore & More. Set includes 3 on card as shown. 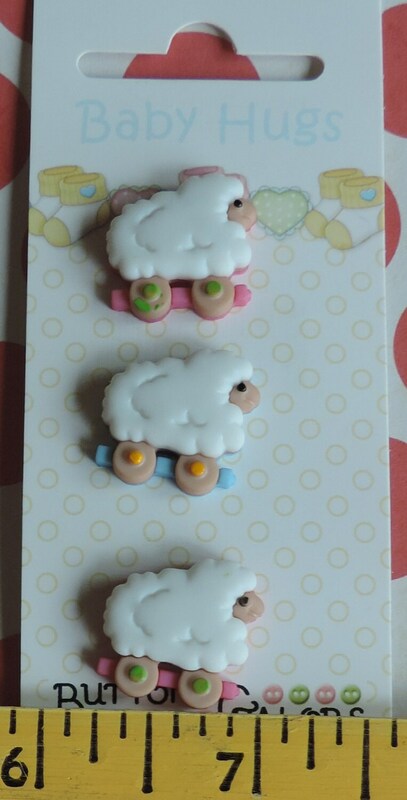 Love these buttons, so darn cute. Bright, 3D, detailed, carded, shank back.